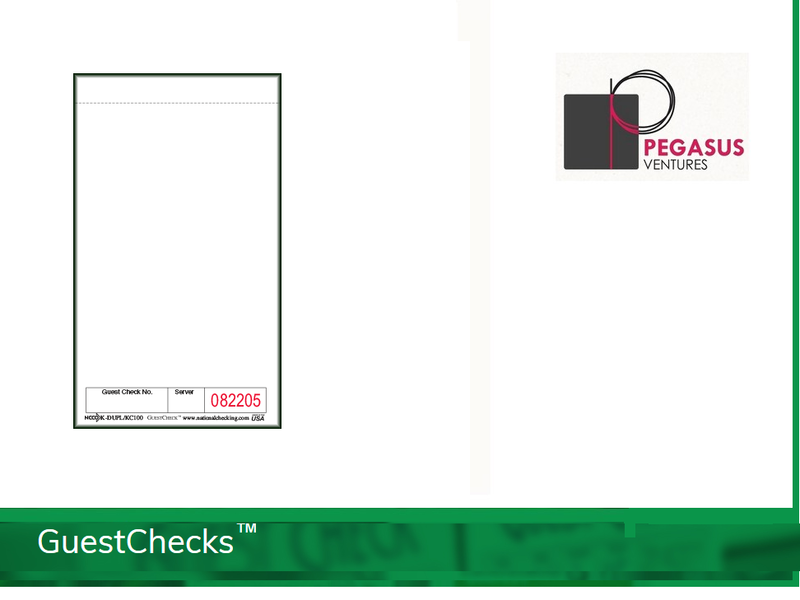 National Checking brand T3624SP Medium Single Copy Restaurant Guest Checks Distributed by Pegasus Ventures Medium single copy paper guest checks are lighter weight than similar medium cardboard guest checks. 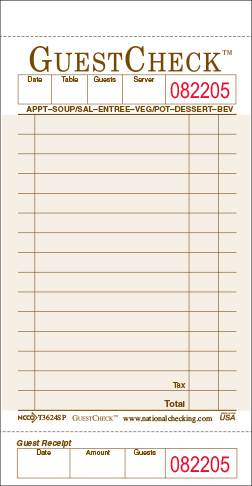 These checks are perfect for situations where guest checks are handled once to record an order and a duplicate copy is not needed. 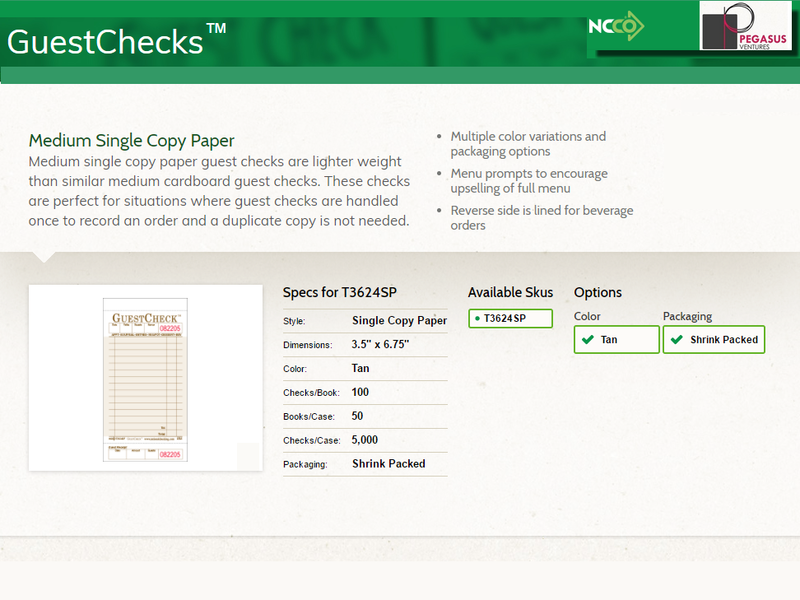 Find menu prompts to encourage up-selling of your full menu and the reverse side is lined for beverage orders. The T3624SP come packed in cases of 5,000 shrink wrap packed restaurant guest checks and are printed on abond paper. Looking for a guest check holder for the T3624SP? The AL-300 found below serves as a great holder for these restaurant guest checks from National Checking Company.